Today LaGuli is run by Paolo's son Rosario and his granddaughter Maria. Rosario actually grew up in the apartment just above the bakery and many happy family memories were made there. This establishment maintains strong family bonds and is commited to excellence. 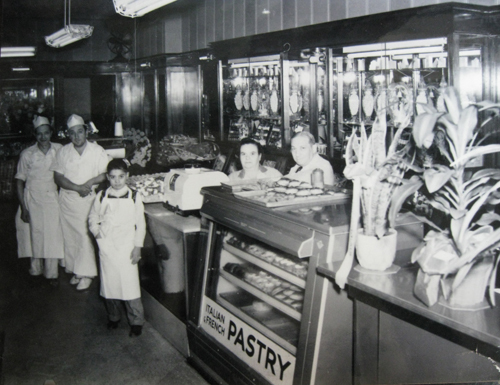 For seventy five years LaGuli Pasticceria has been a family affair, located on Ditmars Boulevard, just off 31st Street. Paolo Notaro immigrated to New York from Palermo Italy in 1920 and opened two Italian pastry shops in Manhattan with his brothers. In 1937 they came to Astoria, then considered "the wilderness" of Queens, and opened LaGuli exactly where it stands today. In fact, the storefront and interior woodwork, shelves and terrazzo floor are original and so are the delectable pastries, cookies and cakes, all made from scratch on the premises.